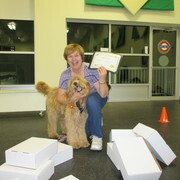 Barry and Linda Graduate Fun Scent Games! Therapy dogs are great at finding stuff too! Congratulations! 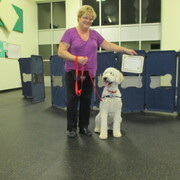 Jackson and Alison Graduate Fun Scent Games! 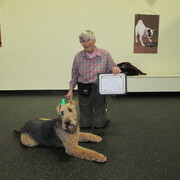 Airedales are Great hunters! Congratulations! 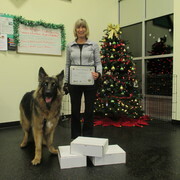 Kylie and Jodi our First Fun Scent Games Graduates! Congratulations!